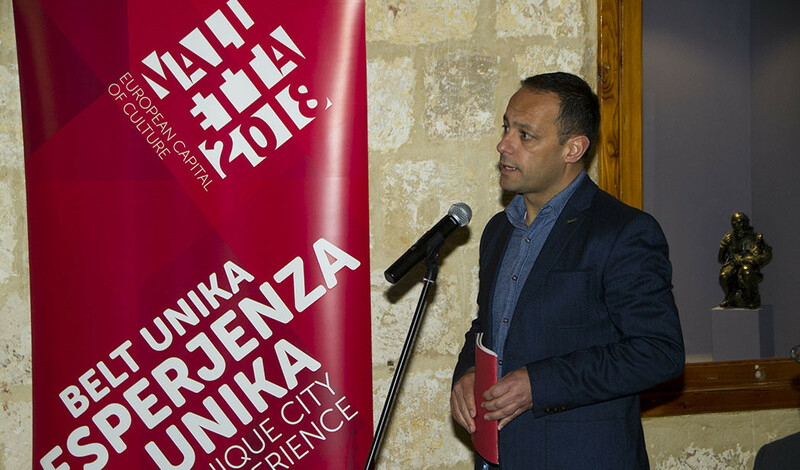 Valletta 2018 as an opportunity for Gozitans was discussed during a seminar organised by the Valletta 2018 Foundation together with Kumitat Ċelebrazzjonijiet Festi Nazzjonali u Reġjonali at the Citadella Cultural Centre in Gozo. The seminar also addressed the subject of Valletta 2018’s legacy on the island after the European Capital of Culture year is over. The seminar also included addresses by the president of the Kumitat Nazzjonali u Reġjonali Għawdex Mons Joe Vella Gauci, Minister for Gozo Anton Refalo, Parliamentary Secretary for Rights of Persons with Disability and Active Aging Justyne Caruana, Arts Council Malta Chairman Albert Marshall, artist and art teacher Mario Cassar and artist and drama teacher Gordon Grech. Projects currently ongoing in Gozo include Valletta 2018’s Artist in Residence programme with Fondazzjoni Kreattività in which international artists come for a residency based in Għarb where they develop their project and carry out research while also engaging with the local community. The intergenerational Darba Waħda project is also starting in Xagħra as from the 1st March. Elderly individuals over the age of 60 may register at the Xagħra Local Council. Other projects which took place in Gozo include Qatt Ma Ninsa which included an exhibition, a memory gathering activity and a dance performance by Gozitan group Naupaca Dance Factory, and the Windrose Project (Il-Warda tar-Riħ) in which the Rubberbodies Collective gathered stories related to wind lore from Għarb residents, resulting in the construction of a wind vane which will be erected in Għarb later this year.